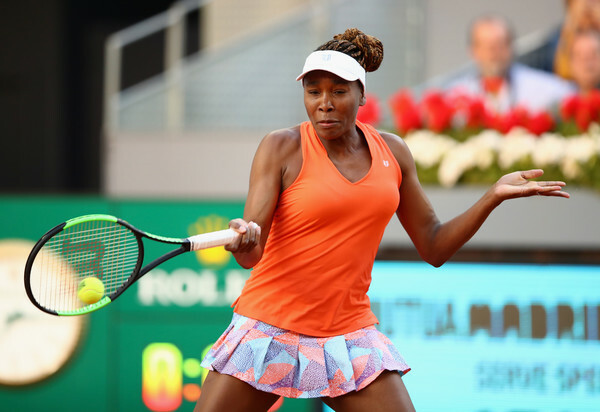 Venus Williams was shocked in the opening round of the Mutua Madrid Open as Anett Kontaveit proved too strong, blasting 42 winners to grab the 3-6, 6-3, 6-2 win. Anett Kontaveit stunned the legendary Venus Williams as the Estonian produced an inspired performance to triumph over the 37-year-old in three tough sets, prevailing with a 3-6, 6-3, 6-2 scoreline after an hour and 54-minutes of play. This was considered one of the many blockbuster opening-round matches at the 2018 Mutua Madrid Open, and Kontaveit entered the match as the underdog. Nonetheless, in what was the American’s first clay-court match of the year, she produced an encouraging display and fell to the in-form world number 29. It was a terrific performance from Kontaveit, who impressively came up with 42 winners and 42 errors throughout the thrilling encounter. The players were only separated by eight points on the scoreboard, while Williams was increasingly erratic during the crucial moments, committing 31 unforced errors alongside just 20 winners. Notably, the break point conversion rate was crucial in deciding the winner as Kontaveit went 4/4 on her chances while the world number eight went 2/9, failing to convert her opportunities. After a string of five consecutive service holds to start the match with, Williams stepped up to the occasion in the sixth game with her forehands doing much of the work. It was a particularly impressive start from the American, who looked like the better player for the majority of the set. 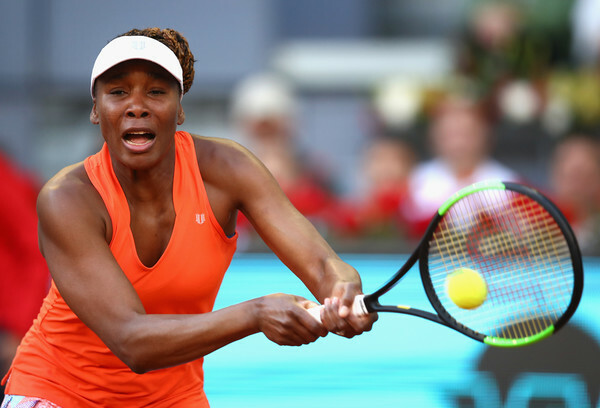 Even though clay is her least preferred surface and this being her first match on the surface in 2018, Williams did not show any signs of rust and with a huge slice of luck, a net cord winner helped to secure the lead for her. Holding onto her lead, Williams eased through all her service games and comfortably served out the opening set 6-3 having lost just five mere points behind her solid delivery throughout the set. With the first set, Williams was in the driving seat to extend her head-to-head record against the Estonian youngster. The norm for the match seems to be continuous service holds as both players were simply too good on their serves. Surprisingly, it was Kontaveit who made the first breakthrough in the second set as she converted on her first break point in the match, taking the lead for the first time. Williams’ movement on the clay wasn’t as smooth as usual, but she was still able to dig deep for multiple break point opportunities in the seventh game, threatening to break back. However, Kontaveit was simply nerveless when facing the pressure, tightly holding onto a commanding 5-2 lead. An excellent forehand drop shot winner eventually sealed the second set 6-3 for Kontaveit, who sent the match into a deciding set after just 77 minutes. The final set started with a bang as the fans were treated to a rare exchange of breaks in the tight encounter. The first hold went in Williams’ way, as her powerful serves proved effective once more. The world number eight stamped her authority across the court when she earned triple break points in the fourth game, though Kontaveit managed to produce an incredible escape with the great help from Williams herself, whose unforced count was drastically rising. The American’s game completely collapsed after the game where she missed her chances, with her mind wandering elsewhere as Kontaveit took charge and dominated the rallies. Struggling to find consistency and her angles, Williams soon found herself trailing 2-5 within a blink of an eye, gifting Kontaveit with the golden opportunity to serve out the match. Ignoring the pressure weighed on her, the Estonian comfortably served out the match after an hour and 55 minutes of play, earning her first win over the legendary American.